Identify and recognize the conditions that contribute to the development and growth of legionella in buildings. Investigate the importance and makeup of a water management program as identified in ASHRAE 188. Assess the solutions available to address legionella in water systems, including those that rely on heat, chemicals, or other means. Describe the pros and cons of different water quality solutions that can be effective at reducing legionella outbreaks. Legionella bacteria is a harmful pathogen which, if inhaled, can lead to a very severe form of pneumonia known as Legionnaire’s Disease (LD). The legionella bacteria grows in water with moderate temperatures, which means any building with water systems is a potential breeding ground for the bacteria and an outbreak of LD. 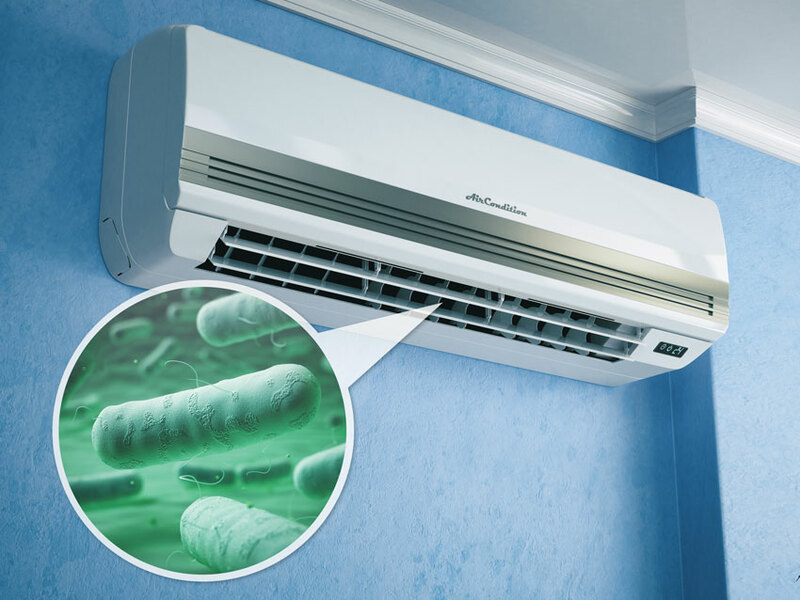 After years of research and development, the Centers for Disease Control (CDC) and the American Society of Heating, Refrigeration, and Air-Conditioning Engineers (ASHRAE) have developed protocols and standards to help avoid outbreaks using proper water management. That management requires that design professionals work with facility owners and create a specific water management plan for the facility. The successful implementation of that plan requires some specific water treatment solutions for reducing or eliminating the risk of an outbreak. There are a number of choices that can be made in this regard, and this course will review some of the main solutions available along with some of the pros and cons of each. Outbreaks of legionella bacteria can cause LD in any setting but is a particular concern in health-care facilities (hospitals, nursing homes, long-term care) and hospitality buildings (hotels, motels, resorts). The presence of the bacteria can be widespread since it can grow in any part of a water system in a building that is continually wet, such as tanks, piping, fixtures, or water features. In order to infect a person, the legionella bacteria needs to be part of water droplets that become airborne in a manner of aerosol generation. If that infected moisture reaches a person’s nose or mouth where it is inhaled and settles in the lungs, then it can sicken the person with LD. Since transmission of the bacteria in the water systems to humans requires it to become airborne, it can occur from things like showerheads, cooling towers, bubbling hot tubs, HVAC units, and decorative fountains. However, the legionella bacteria can form and grow before it ever gets to those places, which is why LD outbreaks are generally linked to water in large or complex water systems, including those found in health-care facilities and hospitality settings. When considering the impact of legionella, the CDC has been determined that LD is primarily a health risk for persons who are at least 50 years old, smokers, and those with underlying medical conditions, such as chronic lung disease or immunosuppression. Nonetheless, the disease can, in reality, affect anyone. According to the Mayo clinic and some other sources, many people exposed to legionella bacteria don’t develop symptoms, but those who do may experience cough, fever, chills, shortness of breath, muscle aches, headaches, and diarrhea. In severe cases, it has also caused death. Treatment typically requires antibiotics, hospitalization, or other care. The CDC has been tracking the number of people who have been diagnosed with LD and have recorded anywhere between 8,000–18,000 cases annually since the year 2000. While the number of cases is disconcerting, even more so is the trend of growth in the number of outbreaks and infections. The CDC reports that in the United States from 2000–2009, the number of infections increased by a dramatic 217 percent. However, over the time span measured from 2000–2014, the increase has been an even more staggering 400 percent. Clearly this is a serious health concern, and one that comes with a significant price tag. The CDC tells us that the number of direct health-care dollars it costs in the United States to treat a single case of Legionnaire’s disease is $34,000. Legionella bacteria is transferred to people through air-borne moisture from plumbing fixtures or air-handling systems. Due to the seriousness of the disease and the linkage to water systems in buildings, ASHRAE has been at the forefront of investigating an effective means of controlling the conditions that will reduce LD outbreaks. Following some initial work in the early 2000s, it published in 2015 an updated ANSI/ASHRAE Standard 188: Legionellosis: Risk Management for Building Water Systems. This document has become the accepted standard for a comprehensive water management plan for buildings where legionella control is sought. Specifically, it has been recognized by the CDC and The Department of Health & Human Services (DHHS) Centers for Medicare and Medicaid Services (CMS) as the basis for programs that they administer. In fact, federal funding for many health-care facilities, particularly those that receive Medicare or Medicaid for payment, must show compliance with an ASHRAE 188 Water Management Program (WMP) or risk losing payments. A full WMP under ASHRAE 188 is based on a seven-step process that includes defining a full program team, survey/documentation of water systems, analysis of water systems, determination of control measures, monitoring, confirmation, and documentation. In order to be effective, the WMP needs to be ongoing and continuous, not just a one-time exercise. As such, it can be integrated into other building operations policies and procedures, but it must be able to stand on its own as a complete plan. The whole process requires confirmation and appropriate documentation that the water management program is being carried out and all activity is recorded and documented. The ASHRAE 188 standard is proving to be an effective resource for building operations teams that need real guidance on reducing the risk of LD outbreaks. As a standard, however, it is focused on the process of creating, implementing, and carrying out a full water management program. It does not provide specific solutions for addressing water systems or offer any design components. Rather, design professionals (engineers, architects, etc.) are required to provide expertise on identifying and analyzing all aspects of the water systems. Then they need to recommend specific control measure solutions appropriate to the particular building and water system at hand. For full effectiveness, those same design professionals should be involved with ongoing aspects of the WMP. Part of the plan requires ongoing monitoring and water testing for legionella bacteria and the means to address how it may or may not be transported within a water system. If monitoring reveals a concern, then corrective action must be taken promptly to eliminate it from the system. That means a series of corrective measures must be in place ahead of time to solve the problem immediately. It also means that the normal day-to-day operation needs to allow for ongoing preventative treatments to occur as part of standard operating procedures. That is where attention to all of the plumbing components and choices about their application comes into play, often requiring specialized knowledge of things like expansion/storage water tanks, water treatment systems, mixing valves, drains, backflow valves, etc. In light of everything discussed above, the means to treat water on an ongoing basis as well as in the case of a corrective measure for a discovered presence of legionella deserves some special attention. 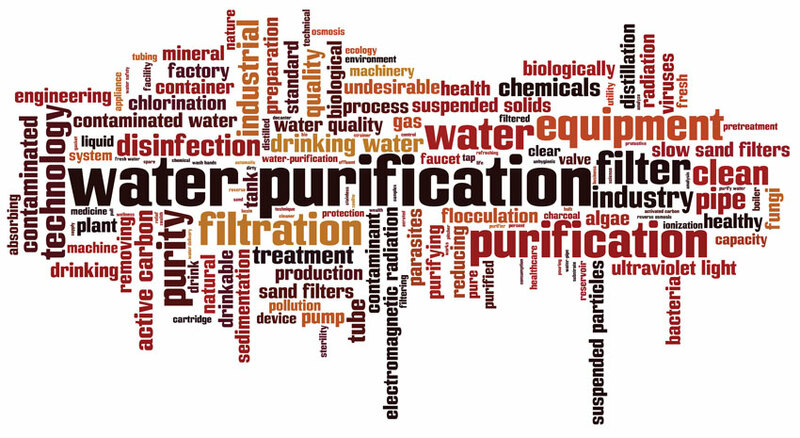 Toward that end, we will review in the following sections four primary types of water treatment solutions, also mentioning some others, which can be considered in a water system design and as part of a full water management program. The key to a successful water management program under ASHRAE 188 is the formation of a dedicated team of the right people to be involved in carrying it out.